Oakmont Golf Club offers Sonoma County 36 spectacular holes of scenic golf. 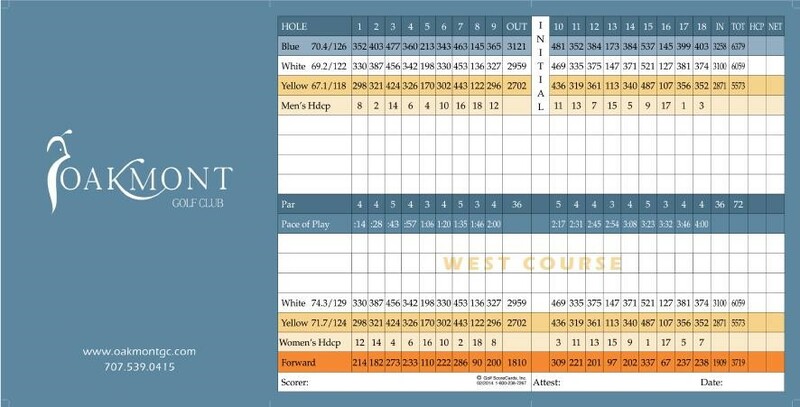 The Scorecard below provides a snapshot of the West Course, a Par 72, and the executive East Course, a Par 63. 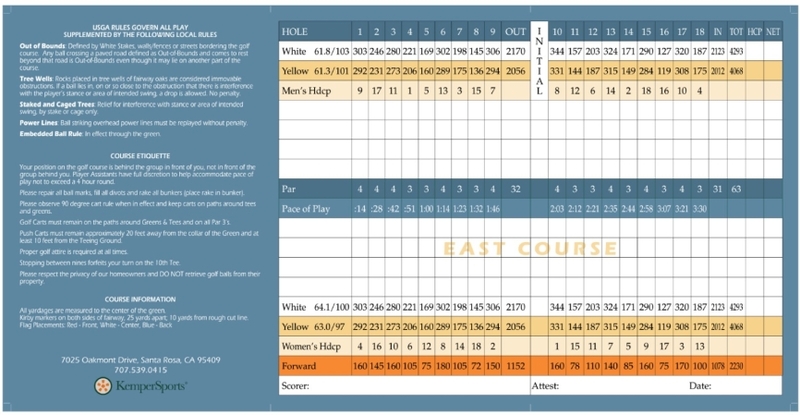 Both golf courses provide a fun and enjoyable experience for all skill levels.